Dr. Landsberger is a Professor in the Nuclear and Radiation Engineering technical area. 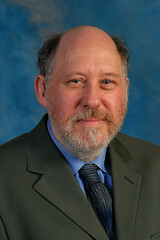 He has served on the faculty of the Cockrell School of Engineering since 1997. He has published more than 200 peer-reviewed papers and more than 160 conference proceedings mainly in nuclear analytical measurements and their applications in nuclear forensics, natural radioactivity and environmental monitoring of trace and heavy metals. In 2007 he received the Arthur Holly Compton award from the American Nuclear Society for outstanding achievements in education in nuclear science and engineering for designing and implementing one of the most advanced distance learning programs in the nation for nuclear engineers. In 2005 he received the Glenn Murphy Award from the Nuclear and Radiological Division of the American Society of Engineering Education, recognizing his notable professional contributions to the teaching of undergraduate and graduate nuclear engineering students. Dr. Landsberger was appointed as Director of the UT Nuclear Engineering Teaching Laboratory (NETL) from 2002-2007 and Area Coordinator of the Nuclear and Radiation Engineering Program from 1997-2012. He currently holds the Texas Atomic Energy Research Foundation Professorship from the Cockrell School of Engineering. Since 1988, Dr. Landsberger has served the International Atomic Energy Agency as an expert consultant in various functions. Jing, C., Y. L. Li, and S. Landsberger, “Review of Soluble Uranium Removal by Zero Valent Iron”, J. Environ. Radioact. 164, 65-72 (2016). Landsberger, S., D. Tamalis, C. Leblanc and M. D. Yoho, "Disequilibrium in the Uranium and Actinium Series in Oil Scale Samples”, (in press) J. Environ. Radioact. (2016). Montgomery, M. T., M. D. Yoho, S. R. Biegalski, S. Landsberger and L. Welch, “14 MeV Neutron Irradiation Facility with an Automated Fast Cyclic Pneumatic System”, J. Radioanal. Nucl. Chem. 309, 101-106 (2016). Wang, S. and S. Landsberger “MCNP Modeling of NORM Dosimetry in the Oil and Gas Industry”, J. Radioanal. Nucl. Chem. 309, 367 - 371 (2016). Landsberger, S., J. Morton and M. D. Yoho, “Quality Control in the Analysis of Radioactivity from the Oil Exploration Sector”, J. Radioanal. Nucl. Chem. 307, 2539-2542 (2016). Landsberger, S. and L. Lara, “Further Investigation of Epithermal Neutron Activation Analysis in the Determination of Heavy Metals in the Arctic Atmosphere”, J. Radioanal. Nucl. Chem. 307, 2465-2469 (2016). Landsberger, S. R. Lara and D. Tamalis, “Non-Destructive Determination of 235U, 238U, 232Th and 40K Concentrations in Various Consumed Nuts and Their Implication on Radiation Dose”, Levels to the Human Body”, J. Radioanal. Nucl. Chem. 307, 1065-1068 (2016). Rodriguez, N., M. D. Yoho and S. Landsberger, “Determination of Ag, Au, Cu and Zn in Ore Samples from Two Mexican Mines by Various Thermal and Epithermal NAA Techniques” , J. Radioanal. Nucl. Chem. 307, 955-961 (2016). Millsap, D. W., M. E. Cournoyer, S. Landsberger, J. Tesmer and Y. Wang, “Degradation of Nylon 6,6 Fire Suppression Casing From Plutonium Gloveboxes Under Alpha and Neutron Irradiation”, Nucl. Technol., 191, 106-112 (2015).